When it comes to faking a year-round tan, bronzer is your best friend. Not quite for contouring but offering a layer of depth and definition in its own right, bronzer gives you that sun-kissed glow in all the right places. And when you’re smothering this lightweight, shimmery powder onto all the right places of your nose, chin, cheeks, and forehead, you want to be sure it’s full of only great ingredients. That brings us to talc. Used primarily in cosmetics for its moisture-absorbing, texture-improving, and formula-filling properties, talc is a controversial ingredient that’s found in so much of our makeup. In bronzers, it’s used for its ability to dilute pigment – and to do so at a fraction of a cost of other fillers. But it’s also used to give your bronzer an opaque finish that sits lightly on your skin without caking. 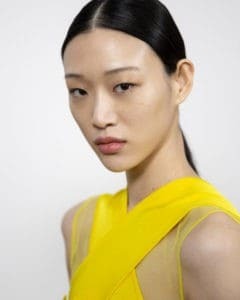 The problem is that this ingredient has long been linked to some forms of cancer, as well as breakouts and irritation (particularly for those with already sensitive skin). Although the FDA has never made a decisive ruling, research hasn’t conclusively proven a link between the two, and the Johnson & Johnson case that brought so much of this controversy to the fore has recently been overturned, talc is something of a cautionary tale we suggest limiting your exposure to. 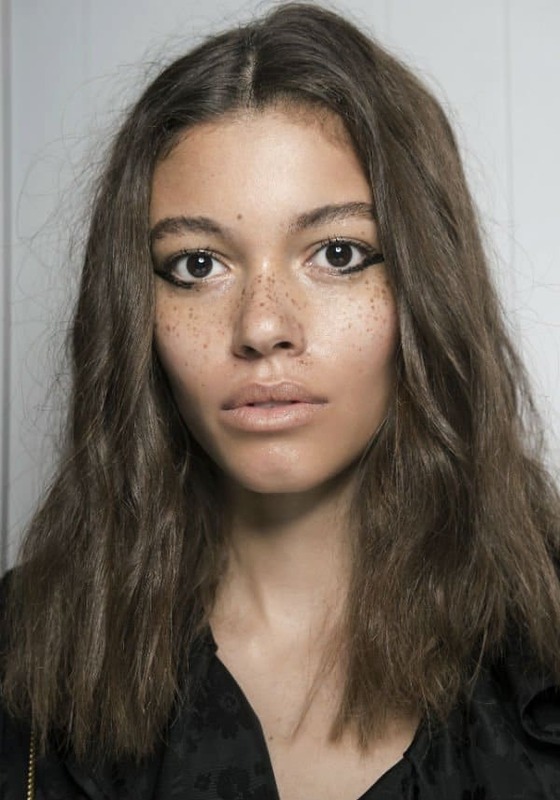 And, in its absence, we offer you the best talc-free bronzers we could find. Made with aloe for soothing, rosehip for cell regeneration, avocado oil for omegas, black currant for antioxidants, and an ingredient list sans anything we can’t pronounce… is this a bronzer or a luxurious organic skin serum? Believe it or not, it’s the latter – and his cream-to-matte finish bronzer outperforms most non-natural alternatives in terms of hiding your imperfections and defining your features. 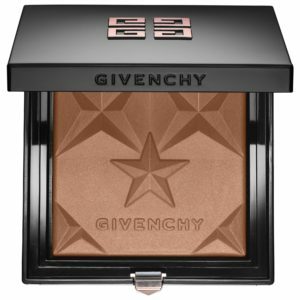 This luxury bronzer is different from anything we’ve ever seen: instead of a powder or a cream, Givenchy has created a baked gel that goes on weightless, allows for maximum buildability, but doesn’t leave any powdery dust behind (not even on your coveted white collars). Available in 5 shades that enhance your natural skin tone when used in conjunction with Givenchy’s highlighters, we’re also big fans of the glamorous product packaging design itself. 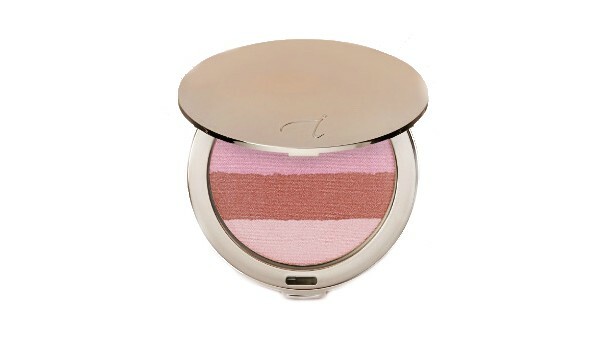 From the pinkest Peaches and Cream to the medium range Moonglow Golden, the experts at Jane Iredale have parceled all 4 of their refillable bronzer compacts with 4 warm, complementary shades. 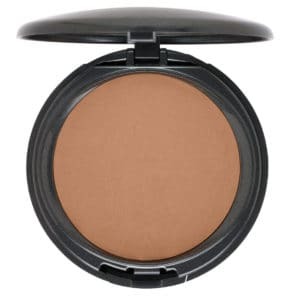 With ingredients like pomegranate and pine bark extract for nourishing and protecting the skin, you can sweep this talc-free bronzer across your cheekbones, nose, and chin as well as more delicate areas eyes like, and even lips. 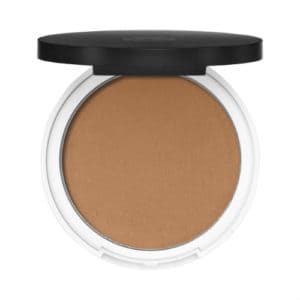 In 3 shades that cover most light and medium skin tones, this matte bronzer without talc gives less of shimmer and more of a subtle, natural finish. If you’re a less-is-more kind of makeup enthusiast, these weightless and bare bronzers are the perfect addition to your collection. 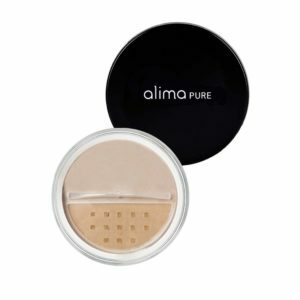 But that’s not the only subtleties this bronzer offers – Alima designed these loose powder bronzers with only 3 mineral ingredients, meaning it has the lowest possible impact on your skin. When you need options, Lily Lola’s got options: matte or shimmery, natural or sun-kissed, one layer or multiple layers of buildable pigment. Whatever you’re looking for in a natural bronzer, you’ll find it in this line, with the added benefits of skin nourishing botanicals like pomegranate seed, argan, manuka, and sunflower seed oil. Infused with Amazonian clay for a waterproof but breathable formula, this high-performance bronzer gives you all day wear in a high sheen compact that you’ll never want to hide away in your makeup bag. 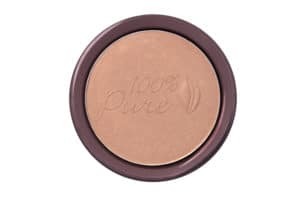 Whether you’re looking for a healthy-looking glow or a bronzer you can build with, the finish on this pressed powder will seamlessly blend with your skin so you never worry about flakiness, clarity, texture, or excess oil. 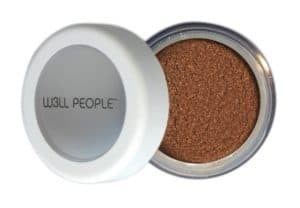 W3LL PEOPLE’s award-winning organic bronzer comes in one universal shade that’s unrivaled at perfecting the natural, no-makeup look. If that doesn’t tell you how good this bronzer is, then also consider that the brand doesn’t use any artificial or synthetic chemicals in their handcrafted, small-batch products. They didn’t leave out the people who prefer cream bronzers either. When you want all the same nontoxic goodness of the powder bronzer but with more coverage and corrective properties, try their cream stick bronzer ($23.99) that doubles as a lip and cheek color. Thanks to their deep pigmentation and naturally matte finish, all 3 shades of CoverFX bronzers can be used for contouring as well as giving you that weekend-at-the-beach complexion. Vegan and formulated without harmful ingredients like parabens, mineral oil, and talc, these buildable talc free bronzers offer as much or as little coverage as you desire without any worry of caking. Sitting out in the sun for extended periods of time might get you the tan you’re after, but those UVA and UVB rays can also be extremely damaging to your skin. 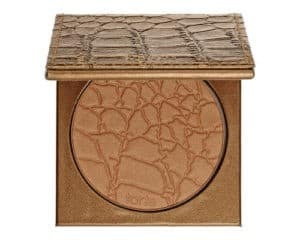 A bronzer can help give you the sun-kissed glow you’re after, with none of those potential side effects. But a bronzer containing ingredients that are harmful to your health isn’t much of a step up. So when it comes time to refill your tan-in-a-compact, consider these talc-free options and put your wellbeing first.